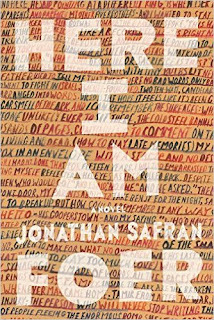 Here I Am (Farrar, Straus and Giroux, 2016, 592 pages, $28.00 hardback) is the third novel from Foer, whose first two novels were best-sellers and earned several awards. Sam Bloch is a boy on the verge of Jewish manhood. He has no desire to move through this verge. 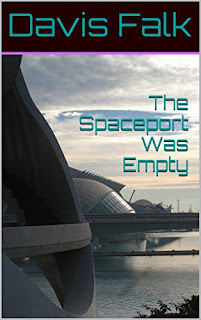 He desires to spend his time away from meatspace, in a computer program called Other Life, in which he builds a world which can be easily destroyed and rebuilt, and in which holding on to history is, in fact, very expensive. His parents want the Bar Mitzvah less from a sense of their own identity as from the tradition in their shell of a family, like an HOA covenant. Sam’s father Jacob is least present of all, in every way except physically, to his family. Together with two ancestral generations and some Israeli cousins, the Bloch family finds several ways to separate while maintaining the charade of family togetherness. Here I Am is set in Washington, D.C. Locals will recognize landmarks such as DuPont Circle and the George Washington Bridge, as well as the many tourist sights to which Jacob takes his Israeli cousin during his long visit. The local impact of world events, and the national impact of local events, is essential D.C., demonstrated in the cataclysm of the “Destruction of Israel” chapters. 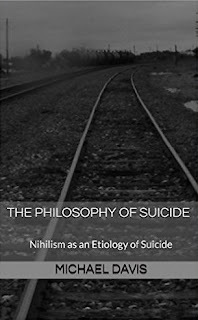 Written in a stream-of-character-consciousness style, the story moves through its 592 pages quickly. Foer’s style evokes emotion. He architects a world in the reader’s mind without adding too much detail to allow the reader’s imagination to build it. His characters are mostly round, with a flat side or two causing a rumbling like a worn tire, and realistic enough to be partially based on real life personalities, while representing archetypes which pull the reader to an understanding. In short, Foer is a proficient writer. Is he a great one, even a good one? I think not, in the sense that a physician who proficiently removes healthy, necessary organs from otherwise healthy patients is not a good doctor. Writing well involves a choice. 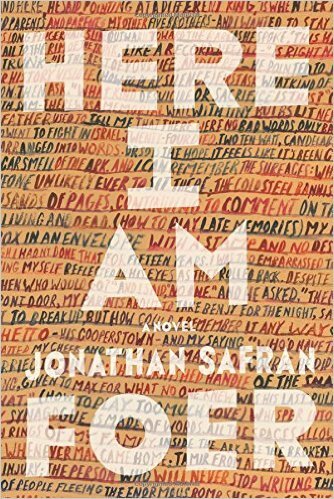 In Here I Am, Foer says “Not to have a choice is a choice. How will we tell the story of he who had no choice?” Indeed. There are many ways to tell a story. An author can lead his reader around the back, walk him in through the front, or inject him into the mind of a character. Then the choice is what kind of mind to create, what sections to reveal. A proficient writer experienced in life knows many paths. His choice of which to take differentiates the proficient from the good from the great. Foer chose a path through all that is missing, all that is thrown away, all that is devoid of good and not worth keeping. He chose to say presence is more important than what is presented. This is a bad book. You should not read it. Fortunately, you don’t have to, because I have read it for you.